As a qualified real estate professional, I am ready to assist you with all of your real estate needs. My approach is customized for each client; my solutions are never one-size-fits-all! Give me a call or send an email when you are ready! We can schedule a free home Selling or buying consultation. I look forward to working with you! What's new in today's show... Insights about sellers and buyers....Check us out! 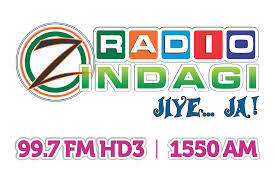 Please tune in Every Friday morning at 8:30 AM to 9:00 am with Radio Zindagi for my radio show, "The Real Estate Connection". I will be on air with my Loan consultant to answer any questions about your home & loan needs! Tune in to listen at 1550 AM / 99.7 FM HD3.